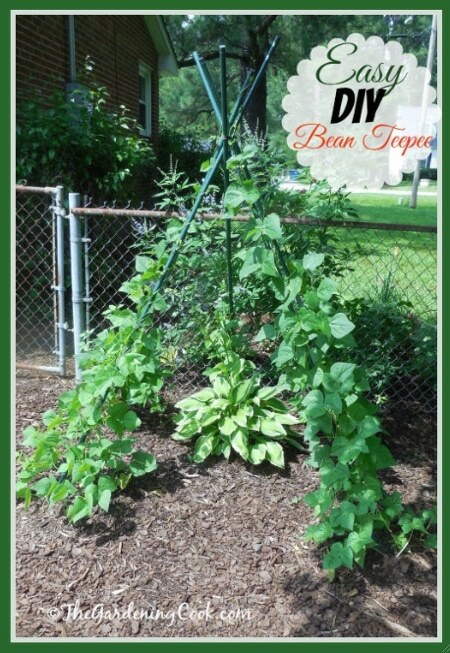 The main idea here is to get your beans off the ground and create a unique, and attractive, structure for them to grow on. The teepee design is super easy to make, it’s durable, and once the beans fill in it’s a delightful addition to your garden. You won’t need much in the way of materials and can build it in an hour or so.